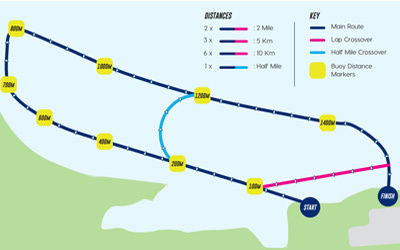 It’s important to be aware of the John West Great East Swim 2019 event timetable prior to the big day. Familiarise yourself with the information below and ensure you leave plenty of time to drop off any baggage, travel to the start line and get warmed up. You must check-in 30 minutes before your start time. If you miss it we may not be able to move you to another wave, so please don't be late. 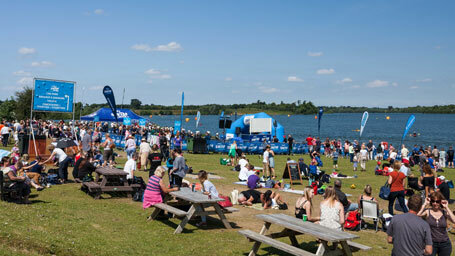 The John West Great East Swim can be reached by following the postcode IP9 2RY. There will be parking available but charges will apply at a cost of £3 in advance or £5 on the day. You can register and pay for your all-day parking pass when you enter the event or do it separately closer to the time, but we'd highly recommend securing your parking pass in advance to avoid queuing on the day. Due to narrow stretches of road around the event venue please can we ask that you drive carefully through the lanes and the village of Stutton and refrain from parking along the roads. If you are planning to drive to the John West Great East Swim have you considered car sharing? Blue Badge parking is available at the Visitor Centre at Alton Water. Please follow the directions of the parking stewards. London Liverpool Street station is approximately a 60 minute train ride away, with direct trains running every half an hour to Manningtree-the nearest station to Alton Water. From here you can get a taxi to take you to the event site.If arriving at Ipswich main line station you will need to get a connecting train to Manningtree. Trains run every 30 minutes between Ipswich and Manningtree. From here you can get a taxi to take you to Alton Water. There are cycle routes to Alton Water. A bike park will be available, but it will not be staffed but we recommend that you bring a suitable bike lock and that you do not leave any valuables with your bike. With a huge variety of quality self-catering accommodation, luxury hotels, outdoor camping experiences and unique places to stay to suit all ages and tastes, Suffolk is the ideal destination for multi-generational holidays. Go to Visit Suffolk for a round-up of the best places to stay and things to do for those using their holidays for extended family time. Ipswich - Suffolk’s vibrant and historic County Town – is just a few minutes drive from Alton Water. Ipswich has an excellent choice of accommodation – from small family run guest houses, through the well known brands, to a 4 Star boutique hotel with beautiful quayside views. For local information in Ipswich visit All About Ipswich or call 01473-258070.